Individuals facing transition. Addressing workplace conflict. Children, Teens and Adults dealing with anxiety. Couples wishing to re-connect through dialogue and increased intimacy. Send A Message To Kim S.
As a registered clinical counsellor (RCC), certified professional coach (PCC) and experienced mediator, (Cert. Con. Res.) Kim’s unique blend of theoretical knowledge and practical application offers clients insight and opportunity to learn the skills required to meet the challenges life delivers. Kim is warm, compassionate and builds relationships easily and respectfully, allowing clients to explore the issues that matter most. With a solution-focused approach, Kim partners with her clients to support them in developing skills to build personal resiliency and guides them to reach their full potential.To provide maximum value in her practice, Kim continues to immerse herself in the latest research and methodologies in neuroscience, mindfulness, attachment theory, family systems, emotionally focused couples therapy, conflict resolution and mediation. 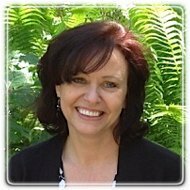 Kim is certified in EMDR (level 1), Emotionally Focused Couples Therapy (advanced externship) and Insights Discovery.With warmth, insight and an inspiring coach approach, Kim gently moves clients from where they are…to where they want to be. With deep empathy, skill, and mindful support, Peter provides you with a safe and supportive therapeutic environment to help you to cope with, manage or resolve your challenges. With advanced training in Emotionally Focussed Therapy (EFT) for couples, individuals and families along with graduate degrees in Neuroscience and Conflict Resolution, Peter helps you to understand your deepest needs, the patterns that may have kept you from meeting them, the clarity and support to embrace a more fulfilling life. Emotionally Focussed Therapy has been validated to be the most effective approach for improving relationships with your loved ones. Peter is a trusted confident, counsellor and advisor to people in all walks of life from kids to senior executives. He has graduate degrees in conflict resolution (Royal Roads University) and neuroscience (University of Waterloo) to help you navigate, understand and resolve interpersonal challenges at home and work. Peter is a frequent keynote speaker and guest lecturer and has served as consultant to over 1,000 companies internationally including Microsoft, Deloitte, Home Depot, Conoco Philips, Accenture, BC Supreme Court and many others. Peter is a father of two, a two-time Ironman Triathlon competitor (top 5% swimmer), professional musician and composer and, published researcher.